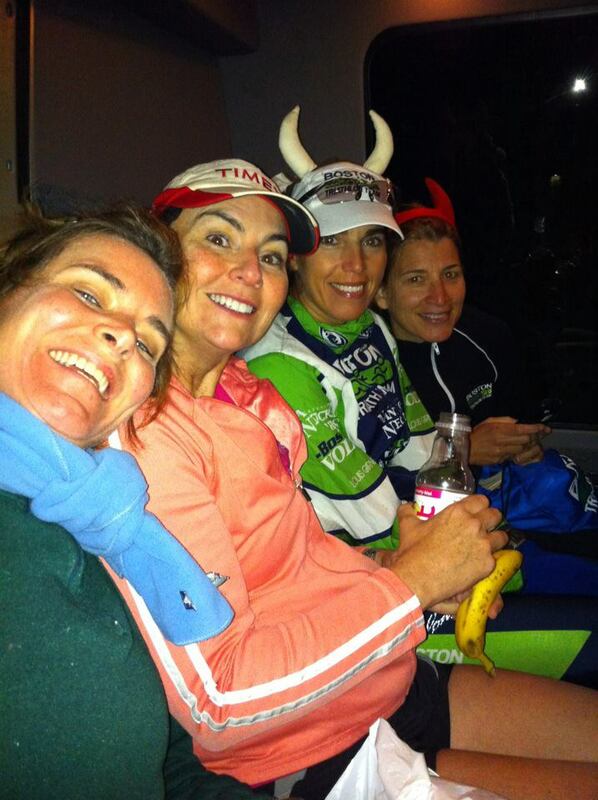 A few of us headed out west for the Healdsburg Half Marathon. If being in sunny California wasn't great anyway, being there when the Northeast got an early snow storm made it even better. The race had a few notables...( 1.) Very cold in the AM. 40 degrees as we waiting for the sunrise start. (2) Large percentage of female racers - 70%. (3) Wine stop at mile 7 - the 2 Lauries stopped for a swig of Coppola's offering. (4) racers dressed up in costumes. (5) 24 different wines to sample at the end of the race. (6) Race schwag included a commemorative wine glass. (7) Crazy long line to get back to the start.... they are working to make that better for next year. The race course was wonderful. This was a point to point race. I called it rolling, others called it a bit hilly. The last 1-2 miles was a slow up-hill - that was a bit painful. You could hear the announcers in the valley, but you knew you still had a ways to go. We all had solid races. MB and Laurie had PRs. Nancy, nursing an injury, took it easy... although still faster than the rest of us. Post-race was great. The finish was at a beautiful park and the sun was out. We picked up our wine glasses and began sampling from the endless supply of wine. Wonderful afternoon. We finished the day off with a visit to Clos du Bois, where our car was parked. The rest of the weekend was action packed. We met up with BTTer Doug Fuller and (ex-)BTTer Derek Keller, we hired a driver to shuttle us around for wine tastings, and rented bikes for a leisurely ride through the vineyards. Great race, and fun trip. We will be going back next year. Book your hotel in Healdsburg now!!! !